Really enjoyed our lunch here! The brat with (white) beer cheese and fries was delicious. They've got a wide selection of house beers on draft, and so many seating areas. The outside area has lawn games and loads of seating - great for big and small groups alike. Great food, beer, and staff. They were very friendly and helpful. We ate our lunch on the patio and enjoyed the scenery and meal. Service was friendly. Meal was perfect. Cannot wait to return. The Skyscapper pilsner was just right. Great burgers! Amazing # of beers! Good music, friendly staff, nice outdoor area, great food. I have discerning taste when it comes to wheat beers. One of the best I have found! Red caboose is fantastic as well and the staff is super knowledgeable and friendly. Good beer. Very good barrel aged stout. super cool brewery! friendly and knowledgeable staff. Great beers! I would recommend it for a bucket list brewery to anyone! Great food and fun place to visit. We enjoyed talking and visiting at the Brewery, we were the only people there one night and the service was great!! Super great! Staff is amazing also! I highly recommend them! The service was great. We tasted a couple beers before settling on two beers: Red Caboose and A Stoplight. Both were ok. Cheese curds were overly salty. Great food, beer, and all around atmosphere! Fun times! I liked the self guided tour and things to do (e.g., checkers, chess, bags, washers, etc.). Great food and beer, friendly staff and cool atmosphere. This establishment has a lot of history and good bones to view. Excellent ambience and decor. The chef came out to speak to us and made suggestions that weren’t on the menu. Food was delicious and menu was affordable. Very neat building with good food. Great Lobster salad! Best I ever had. Friendly people! Great beer too! This place has such a relaxed, positive vibe. I ordered their brisket sandwich and my friend ordered the sausage pizza. We split each and shared. So good and such a fun place to relax and drink good beer. The Lobster Mac & Cheese, along with the Root Beer cake! Delish! Best fried pickles I ever had and everyone was so kind. It is a charming building and I love the old floors! Neat atmosphere and great BLT. Terrifuc beer, really loved the Octoberfest one. Our food was plentiful and delicious. We had the pizza and.a and brisket sandwich ppenplplenifanpdeliciousdelicioudelicioussy elicious delicioudeliciodelicdelicious deliciou.delicioWe had the . It's a little pricey. but a nice place and good food!! One of our favorite hangouts, good beer, good food, good service! Fun place. Do a beer flight and hang out in the beer hall for a game of corn hole. Pretzels and beer cheese are awesome too. Great play for drinks and fun. To commercial. They pick several of the beers in a beer flight. This is not a true flight. The idea of flight is to try beer customers want. Decent selection of beer along with a good menu made it a good place to stop. Visited with family and enjoyed good food and beverages. Service was prompt, food was hot and fresh. Well done, Tin Mill, especially during busy October Fest! Excellent! Our 2nd visit and it was as good as 1st! Great prime rib sandwich with au jous and a homemade horseradish sauce. Companion had a nice house salad, homemade ranch and French onion. She had a glass of semi-dry white wine and I had a red amber beer. Both are produced by affiliated entities. We will be back again! Cool saloon vibe. Onion rings were great. Buffalo chicken wraps were good. Great place to eat! Good food in a unique cozy setting! French onion soup was tasty! So was the whiskey chicken! Great place, live music good beer. love this place! here with all of our friends and everyone is great! 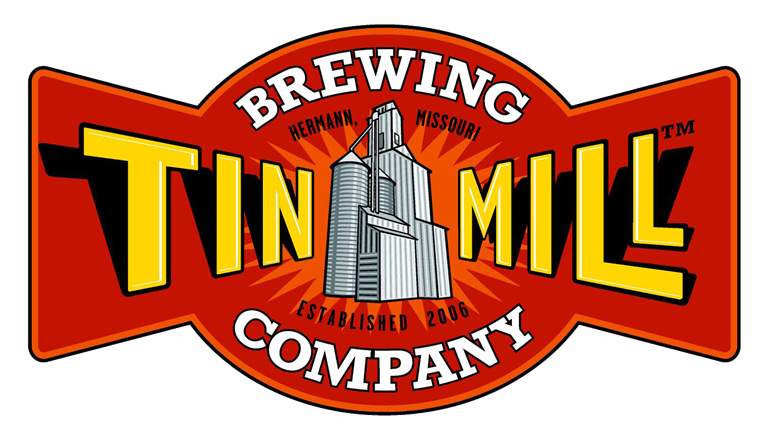 We stopped in for lunch at The Tin Mill Brewery in Hermann, MO. Nice place to unwind, and enjoy some good food. This is one of our favorites spots in Hermann. Love just hanging out in the back and their beer selection. Great stop for a cold one! awesome place! great food and wonderful atmosphere. Good food and a variety of draft beer from the brewery. The architecture of the old mill was very interesting. Clean and vintage. My friend and I were in Herman for 5 days and we ate here or had apps 3-4 times. Great Service! We ate outside it was a beautiful atmosphere..Nice staff!! Good food and drinks cannot wait to visit again. I'm not much of a beer drinker. My friends tried a few. We walked the self guided tour. We visited the gift shop. We ate lunch there one day but all in all I found it just ok. I love your pizza!!!!!! We like your sauce and crust. My dad likes the beers a lot! The gift shop is really cool!! Good food! Service was good as well. Excellent food and service. The drafts were expetional.